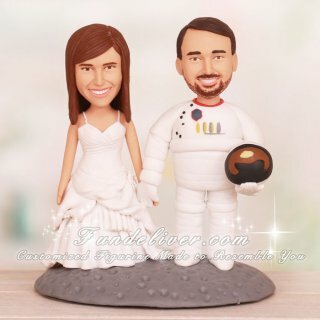 This is a completely customized love on the Moon wedding cake topper ordered by one of our customers. 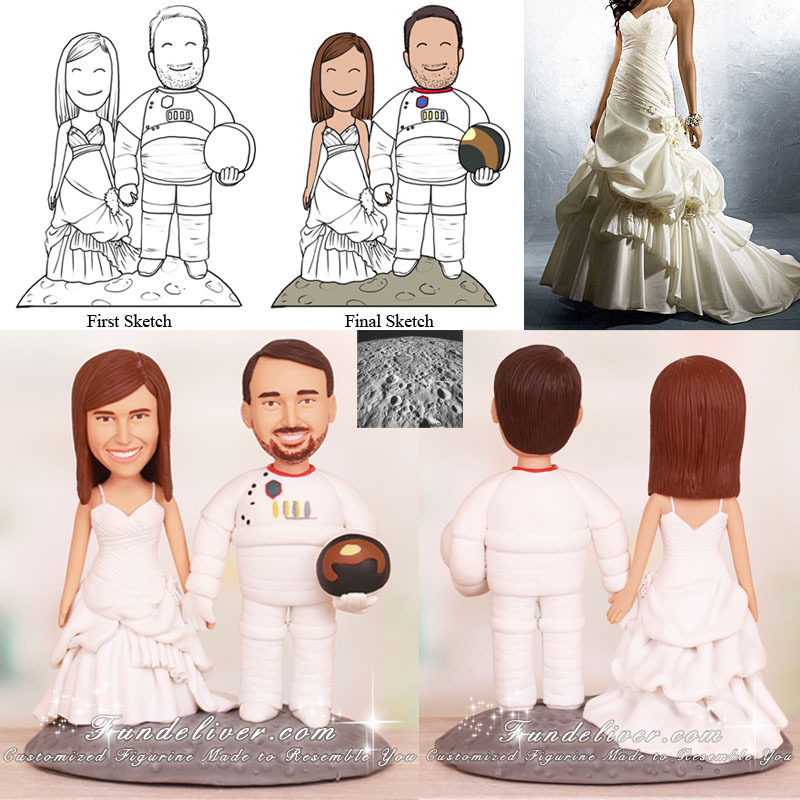 They would like a similar design to our past work Astronaut Cake Topper, but instead of the hands on the brides shoulder, they would like for them to be holding hands. Instead of a heart shaped base, they would like a raised and rounded platform to look like the bride and groom figurines are standing on the moon with craters in it. Let the Moon witness the rise of your true love.